Welcome to our indepth review of the DEWALT DWE1622K — the best Magnetic Drill Press for the money. It’s hard to beat DeWalt tools in terms of quality, features and price, and the DeWalt DWE1622K is no exception. It offers excellent value for the money. A magnetic drill press, or Mag drill as they are often referred to, is an incredibly useful tool. For those who aren’t too familiar with the term magnetic drill press, I’ll provide more information on these tools later in the article. I’ll answer common questions, like what is a Magnetic drill press, how does a magnetic drill press work? That won’t be all, there’s a lot of information on magnetic drill presses that can be gained from this article and review. The main point of this article is a review of the DeWalt DWE1622K and I’ll cover all the aspects of this amazing mag drill. 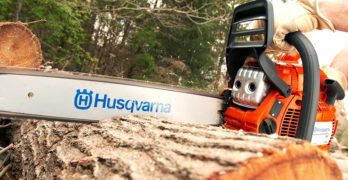 We’re not going to end there, I’ll also be reviewing a couple of alternatives: the Evolution Power Tools EVO28 and the Fein Jancy JHM Series ShortSlugger. So let’s get right onto it, a detailed review of the DeWalt DWE1622K magnetic drill press. Best Magnetic Drill Press — 2-Speed, 2-inch with Quick Change Chuck system. Complete magnetic drill press kit. ✓ View or download the MANUAL for the DeWalt DWE1622K magnetic drill. I would think that DeWalt tools need no introduction. Like many DIY nuts, I consider most DeWalt products to be the ultimate in power tools. There are many great brands that produce fantastic machines, but few have the comprehensive range of high-quality power tools like DeWalt. For those who might not be all that familiar with the DeWalt brand, I’ll give you a brief introduction into one of the legends of the power tool industry. Why Choose DeWalt Power Tools? Today DeWalt is a subsidiary of Black & Decker, along with Stanley. One would think that Black & Decker, a longstanding brand with a great reputation, would promote their own brand as the flagship product. Instead, they have chosen the DeWalt brand to be the preferred (more expensive) brand, aimed at professionals and the more discerning DIY enthusiast. Black & Decker and Stanley are seen as brands that offer more affordable tools of a high quality standard for general use in homes and by contractors buying entry-level tools. So why is the DeWalt brand so highly respected? To understand where it all began, we need to go back to 1922 when Raymond DeWalt invented the first radial arm saw. DeWalt was not an engineer, nor was he a business leader. He was, at the time, a regular workman, employed as a superintendent at Seabrook Farms. His drive was to invent a woodworking tool that benefited the worker, allowing to him to work more accurately and increase productivity. Raymond DeWalt was very successful in his endeavor. 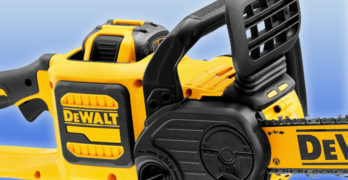 As a result of this revolutionary invention, for its time, he went on to establish the DeWalt Products Company in 1924. From this point onwards, the DeWalt brand became etched into history as a manufacturer of high-quality power tools with a unique identity. Because of its founding philosophy, DeWalt tools still have the advantage. At least, as far as I’m concerned. I think many workmen will agree with this. There are many tools that display excellent engineering, but very few compare to DeWalt when it comes to usability and serviceability. This stems back to Raymond DeWalt’s ethos – producing tools that improve our productivity. Look at any DeWalt power tool and you’ll see what I mean by this. It may be as simple as the position of the power switch, the ease with which you can change a bit or a blade. DeWalt tools often have the best adjustments for more accuracy with the least amount of effort. They usually have innovative onboard storage for the components and access to points that need regular service are always made easy. These tools are logical for the user and not just amazing works of engineering. To my mind, it’s the humble origins of Raymond DeWalt that has created a legacy that can never be undone. Because he started out using tools, not designing them, his tools were developed from the user’s perspective. Engineers are quick to design products that look great on paper, but don’t fully meet our needs in practice. In fact, even with many great tools from high-end brands, I’ve often cursed the engineers for simple oversights that make the tool a hassle to use. With DeWalt, on the other hand, I’m usually in awe of the simple logic that has gone into producing an exceptionally user-friendly tool. This is often in areas where it’s hardly noticeable but, once you’ve used it, most others seem to be lacking in some way. Today, Raymond DeWalt is a part of history and, despite corporate buyouts and changes in the industry, the DeWalt brand continues to produce tools of an exceptional standard that make our lives easier. That’s why, for almost a century, DeWalt tools have become the number one choice for many of us. Considering where the brand has come from and where it stands today, it’s abundantly clear why the DeWalt DWE1622K stands out as one of the best magnetic drill presses available today. Take a look at this review and you’ll probably agree with this statement. It is the most expensive magnetic drill press in this review but I believe it’s worth every cent. A DeWalt power tool is an investment that’s going to be with you for years to come and the pleasure of using a mag drill of this caliber is worth more than money. The DeWalt DWE1622K has been on sale in the US for about four years now and that has given people plenty of time to run it through its paces. This allows us to know what the pros and cons are before buying the tool. As is the case with any DeWalt product, I had to dig deep to find any issues. The general consensus from the public has been a huge thumbs up – that’s what I would expect. The only complaint I’ve managed to find is some play on the chuck. Though out of hundreds of customer reviews, I only saw this mentioned twice. I can see why this happens, the Weldon chuck is made really easy to use. Instead of using locking screws to hold the Weldon bit or key chuck in position, they’ve used ball bearings. I really like this design because you can slot the bit into position in a matter of seconds and don’t need to reach for any tools. Motor height can be adjusted to accommodate the need for more or less bit clearance. If you’re using a mag drill, you’re likely to be on a beam high in the air and complicated bit changes are no fun in these situations. This is one of many examples where DeWalt has looked at how we use the tool and how to make things easier. Often quick release and locking mechanisms don’t last. They’re convenient, but the mechanisms are complicated and are not always made from the best materials. This is certainly not the case with the DeWalt DWE1622K. The machined steel Weldon chuck is of the finest quality. So why the complaints? Since it has been a rare complaint, I wouldn’t read too much into this. It is, however, a valid one. That’s if you’re doing finely engineered drilling with tolerances measured in microns. The ball bearings inside the chuck, whilst making our lives incredibly easy, do have a minute degree of play. You won’t notice this with the eye, it’s less than a millimeter. I think it’s important to look at this realistically, a magnetic drill is not intended for an engineering shop. It’s specifically designed to make site work less complicated and safer. In these situations, are you really going to be measuring within the smallest fraction of an inch? If you want the fractional accuracy required for detailed engineering, you should be using a benchtop drill press that’s been designed for that purpose. It’s about using the correct tool for the job. If I look at the easy tool-free operation that the DeWalt DWE1622K offers, this is more beneficial to the applications for which I’ll be using a magnetic drill press. So I see this shank to be one of the biggest benefits to the DeWalt and certainly not a complaint. Another cool feature is the overload warning light. When you switch the drill on, a green LED ignites just below the switch. If the drill starts to labor too hard and there’s a chance of overheating, the light starts to flash orange. The drill will continue to run at the selected speed but you are being alerted to the fact that you’re pushing the limits of the machine’s capabilities. If you don’t heed this warning, the drill will stop when it overheats and the warning light will turn red. Again, there have been a few complaints about this (although rare). Some people feel that it slows them down – you have to run the drill without any load for a while to cool it down before you can continue. Now I’m sorry, this must be one of the most ridiculous complaints I’ve ever heard. Would you really prefer to burn out your magnetic drill rather than allow it cool sufficiently so you continue working properly? This feature has been put in place to ensure that your DeWalt magnetic drill lasts the way it should. Though overheating is going to be a rare occurrence. The 10A motor with a super cool 2-speed gearbox allows for an annular cutter up to 2” in diameter to cut through most materials with ease. Perhaps if you’re drilling through really hard steel for long hours, the drill will overheat. But, then again, any drill of this capacity will overheat under the same conditions. The only difference here is that the DeWalt DWE1622K prevents you from damaging the drill when this happens. If you’re using a Weldon cutter, it’s able to go up to ¾” and you can use a standard twist bit up to ½”. Moving on to yet another innovative, typically DeWalt feature is the quick release handles. Like most magnetic drills you’re able to use the feed handle with a 1, 2, or 3-point grip and they usually allow you to use the handle in either a left or right-handed position. Again, DeWalt has taken this a step further in order to make our lives easier. If you want to remove the handle, you simply press a button in the center and it releases. It will then slot back into position with a simple click. There are no tools required and this mechanism is reliable and safe. LED indicator light (N) will flash as a warning that excessive load is being applied. Apart from these innovative features, the DeWalt DWE1622K has all the features you’d expect to find on a top-grade magnetic drill press. It has a very easy to use magnetic cutting fluid bottle. It attaches to any metal surface and a pipe connects to the drill press head without any effort. You have a simple control valve at the base of the fluid reservoir to control the flow. The regular drill travel of 4⅛” can be extended greatly when your magnetic surface is some distance from the surface that you’re drilling. This is made very easy with a convenient easy to access adjustment point. The all-important safety chain is included. When the power fails and the magnet releases, the last thing you want is for the magnetic drill to come crashing down to the ground – so that’s taken care of. Blow molded cases for power tools are nice but they’re usually an afterthought. These cases don’t often last too long, the plastic clips that hold them closed break easily and the clip positions for your components don’ last either. So shortly after you’ve bought the thing, it doesn’t close properly and bits and pieces rattle loose, tumbling out every time you open it. Not so with the DeWalt, the case is tough and everything slots tightly into position perfectly. It will do so for a very long time. The case includes everything you need – tools, chuck handles and a safety chain, all fitted into neat slots in the case. As I’ve come to expect from DeWalt, they’ve thought of everything when designing the DWE1622K, right down to the finest detail. It is a tool of the highest integrity and will outlast just about any other. It’s DeWalt, so you know you’re buying supreme quality. This extends beyond the mag drill itself, you’re also assured of excellent after-sales service and one of the best warranties in the industry – a 3-year warranty, 30-day money back guarantee and a free 1-year service plan. Ideal For : Bridges, I-Beams & Framework. Integrated coolant system for magnetic drilling. ✓ View or download the MANUAL for the Evolution Power Tools EVO28. So the DeWalt DWE1622K is the king of magnetic drill presses, but it’s more expensive than many others. This might leave some feeling down. If the DeWalt DWE1622K is out of your price range, don’t despair. There are more affordable options that might not have all the advantages that you’ll get with the indisputable champion of magnetic drills, the DeWalt DWE1622K. 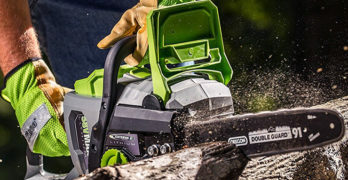 The Evolution Power Tools EVO28 is a great second choice and won’t leave you disappointed in your purchase. As the cheapest magnetic drill in this review, the Evolution Power Tools EVO28 is not the most versatile, though the limitations aren’t too bad when you consider the price. 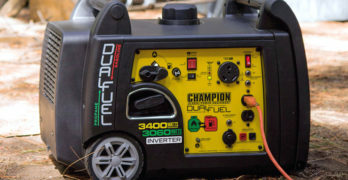 It certainly has the power to match the DeWalt with 10A motor. You are, however somewhat limited to your cutter size and type. It will accommodate annular cutters up to 1⅛” and twist bits up to ½”. The ¾” shank is the standard design with two locking screws that need an Allen wrench to lock the cutters into place, the regular key chuck fits into this shank. Compared to the DeWalt DWE1622K, you’re slightly limited by the 2” cutting depth. It has a good height adjustment for longer bits and this is done easily with a thumbscrew which locks the motor head into position. The limitations I’ve mentioned are to be expected, this is a smaller magnetic drill press compared to the DeWalt. It has a very powerful magnet that is strong enough to mount the drill in an overhead working position. The cutting fluid bottle bolts to the drill, which is fairly normal. The magnetic fluid bottle that you get with the DeWalt is less common and does give you an advantage when drilling in unusual positions. This is particularly handy when drilling overhead but for most applications, the fixed bottle on the Evolution won’t really be a problem. The handle can be used on both the left and right. Again, not as impressive as the DeWalt. It’s a more standard design and you have to use a Phillips screwdriver to remove and fit the handle. The handles give you good grip and you have excellent control over the drill. Integrated cooling system keeps the drill from overheating. The general quality of this magnetic drill press is of a high standard. It’s a tough machine and won’t falter on a hardworking jobsite. It may not be as sophisticated or versatile as the DeWalt DWE1622K. No one can expect it to be, it’s a much cheaper drill. It is, none the less, a very capable machine and is built to work, making it really great value for money. The fact that the Evolution also has a 3-year warranty is assurance of the type of industrial quality that you’re getting. Professional-grade mag drill. Excellent kit. 1-3/16-inch maximum cutting diameter and 2-inch depth. Optimum power-to-weight ratio for working at-height. Concealed motor wiring prevents snags in tight spaces. Removable integrated tank with gravity-fed cooling. 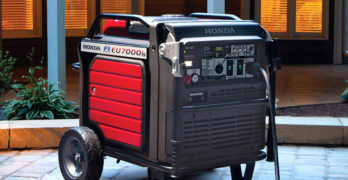 Self-start lock prevents an unexpected self-start in the event of sudden return of power after a power loss. When it comes to industrial cutting tools, no one does it better than Fein. This means that even though the Jancy JHM ShortSlugger is a smaller, less powerful magnetic drill press than the DeWalt DWE1622K, it’s not much cheaper. Essentially, you’re paying almost the same for a machine that doesn’t have the same capabilities. Though, there is a big difference. If you want an ultra-heavy-duty magnetic drill press, engineered and built to the absolute highest standard, you need look no further. So the Jancy doesn’t have the convenience of quick release handles or a tool-free Weldon shank, nor does it have a magnetic cutting fluid bottle. All these things are done the old-fashioned way. The Weldon ¾” shank requires that you tighten it with two Allen screws. The handle doesn’t need tools to loosen or tighten, instead it has a tough steel round knob that you turn. Maybe not as quick as the press button to release the handle on the DeWalt, but it’s indestructible and still more convenient than using a screwdriver. The shank is exceptional, with a huge bearing and the rails show absolutely no movement. If 100% accuracy is what you’re after, the Jancy is going to be your number one choice. Shank wobble is the only real complaint that anyone has about the DeWalt DWE1622K and this will not happen with the Jancy. Being a smaller drill, it doesn’t have as much height extension as the DeWalt, but this is still reasonable. The height of drill can move between 11.02” and 14.7” – this is the total height of the machine, so you have about 3” of travel. Every component is made to handle extreme situations and never fail, that’s what makes the Jancy so spectacular. The rails move smoothly and there is zero lateral movement. If 100% accuracy is what you’re after, the Jancy will be your number one choice. Probably the most remarkable aspect of this magnetic drill press is its incredibly compact size and it weighs only 22 LBS. This not only means that it’s really easy to use way up in the air, it will fit into tight spaces like no other. Even though this is a very small magnetic drill press with a 6.25A motor, you have a reasonably good cutting capacity, up to 1³⁄₁₆” diameter to a depth of 2”. This doesn’t match the DeWalt, but this is a much smaller drill with a smaller motor. Solid die-cast aluminum construction ensures long-term durability. The magnet is really strong and the drill is exceptionally light, so it will grip to any ferrous metal surface like no other. The cutting fluid bottle is removable, so you can position it in such a way as to provide gravity feed when working upside down. Fein is a German company and was one of the pioneers of electric rotary drills – they’ve been doing this since 1867. In 2011 they bought out Jancy, an American company that has specialized in high-power cutters with the highest level of accuracy since the early 1940’s. Together these two industry giants have been able to build the best industrial cutters the world has ever seen. In the motoring industry where accuracy and tool reliability are key, the Jancy brand has always been the leader. This is an indication of the type of tool you’re buying. Yes, the DeWalt DWE1622 may be the most convenient magnetic drill press for most contractors and DIY enthusiasts, but if you require engineering quality results from a magnetic drill press, there can be no other option that compares to the Fein Jancy ShortSlugger. What is a magnetic drill press? When drilling into metal, no tool compares to a drill press. These drills give you the force to drill through thick metal with the greatest of ease. They also give you the best accuracy when drilling large diameter holes. A magnetic drill press has most of the features that you’ll find on a benchtop drill press with the added benefit of a magnetic base. This means that the magnetic drill press can attach firmly to any ferrous metal in any position. They were originally designed for the construction industry where there is a need for a high-powered drill press that can drill through strong steel like I-beams hundreds of feet in the air. Since then, people have found many other uses for the magnetic drill press. Farmers find them to be an invaluable tool for repairing and constructing metal structures and when working on heavy-duty agricultural equipment. If you’re thinking about getting a benchtop drill press for your home shop, you may want to consider a magnetic drill press as a more versatile option. They can be used in the same way as a benchtop drill press, by attaching them to a metal workbench. For building projects around the home or vehicle repairs, you have the added advantage of a drill press that can be used anywhere, in any position. How does a magnetic drill press work? Like a benchtop or floor drill press, a magnetic drill press has a motor head assembly which is supported by an upright beam. The motor drives a spindle which moves up and down by means of a quill feed. This is operated by a feed handle that the operator turns to move the spindle up and down whilst drilling holes into metal or wood. Though a magnetic drill press is used primarily for drilling into metal. A shank on the spindle will usually hold HSS or Weldon shank bits and one can also attach a regular jaw chuck to the shank. This allows the drill press to use any orbital cutting tool to do a variety of tasks – drill holes, countersinking and even tap thread. Where a magnetic drill press differs from other types is that they don’t have a table. Instead, they have a powerful electromagnet at the base of the drill. This allows the operator to place the drill against any ferrous metal surface and when the magnet is switched on, the drill will be securely attached to that surface. To remove the drill from the surface, the magnet is switched off. Because the magnetic drill press does not have a table, it cannot be tilted to drill angled holes. The drill shank will always be perpendicular to the surface to which it is attached. Other than this, a magnetic drill can perform the same functions as any other drill press. The advantage is that they can be used outside the shop, basically, anywhere that the drill can be attached to a metal surface that is magnetic. How to use a magnetic drill? Most mag drills use a Weldon shank, they grip bits that have two flattened edges on the shank. Usually, the Weldon shank will have two screws that secure the bit by gripping onto these flat edges. Some, like the DeWalt DWE1622K, have spring loaded ball bearings that hold the bit in place. When inserting a Weldon bit or chuck, you need to ensure that the flat edges of the bit are aligned with the screws that secure them and then tighten them until the bit is firmly gripped by the shank. If you’re using a tool-free shank, you’ll need to move the bit clockwise and counterclockwise slightly until you feel the bit is secured. If you’re using regular twist drill bits, you’ll need to install a jaw chuck in the same way as you would a Weldon shank bit. Some magnetic drill presses use a Morse taper shank, but Weldon shanks are the preferred method. You’ll need to adjust the motor head to allow enough travel for the bit that you’re using. This is usually done by loosening a screw at the side of the drill and raising the head until the drill bit is above the piece that needs to be drilled. You then place the drill against the metal surface that you intend drilling and switch the magnet on to secure the drill. Only engage the magnet once you have the bit perfectly aligned with the point where you want to drill. Once the magnet is switched on, you won’t be able to move the drill. If you’re working against a vertical surface or overhead, it’s important to attach the safety chain. If the power fails, the magnet will disengage, releasing the mag drill. If it’s not secured with a safety chain the drill will fall. In some situations, it may not be possible to attach a chain. If this is the case, use a nylon strap to secure the drill by wrapping it around the surface and the drill, then pulling it tight. With everything in place, it’s simply a matter of switching the machine on and turning the handle that depresses the shank. There’s no need to use much force and pressing the bit too hard against the metal will damage or break the drill bit. This is something that one learns by feel. You’ll soon find the optimum pressure with which to work for the bit you’re using and the material you’re drilling into. It’s always recommended to use a cutting fluid or paste, particularly when drilling large holes into thick metal. This reduces the friction and cools the drill bit, prolonging its life. It’s also important to never overheat the drill motor. This can happen when using a thick long bit for long periods of time. It’s always best to stop for a while if you notice the motor getting excessively hot. To cool the drill motor down, run the motor with the drill spinning freely. In other words, do not press the drill down onto the surface. With no load on the drill, the motor’s fan will quickly cool it and you can continue working.